Are your search engine rankings working for or against you? What happens if you Google your business? Does your page come up? Do you show up on in the top results? One step further. Do you show up for National, Regional or even local searches for common search terms related to your industry? Google, Yahoo, Bing, and many other indexing search engines have one thing in common they are all algorithmic. Your business is fighting an equation related to how well you should show up to a computer program. Does that mean our businesses are held to the will of a team of programmers logic. Yes and no. Yes, you have to play by the rules but no, that does not mean you can’t stack the deck in your favor. What does psychology have to do with SEO? Quite a bit. The frequency of voice searches is increasing. Amazon Echo sales combined with Google’s word accuracy (see our handy infographic) means more customers are searching with very specific conversational queries instead utilizing one or a few words. This means that keyword research relies more on what customers are likely thinking instead of just trying to rank for single word search terms. Customers are no longer just searching for one term to find a product or service but rather asking more variations of “I want this and this…” because they are more informed before they buy. Understanding what the psychology of the target customer as it relates to search habits means that the psychology of the human mind has more influence on search ranking targeting than just picking a generic key phrase. An exact match can rank higher than a phrase or broad match. A customer who is searching with longer queries means that they likely have a higher buy intent. Which term do you think is a likely buy? Would you like to create content that has higher conversion rates because you give relevant customer answers instead of just getting high traffic with very low real buying customers? Psychology helps break the code of search to find customers who are looking to buy your products. With the thousands of “SEO experts” out there why choose our SEO consulting services? We work to give you realistic results. 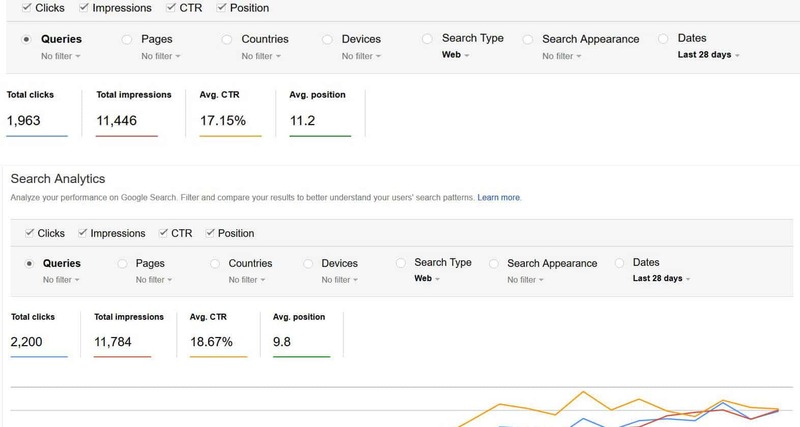 This is a client who increased ranking over multiple keywords to average on the first page of Google (Bing and other search engines are very similar) Snapshot is two and a half months apart. Most search engine optimization consultants/companies focus on selling you their services and not your bottom line. Instead of trying to sell you on why SEO works, how we are the best, we will focus on what holistic means to us. Holistic SEO consultants focus on every aspect of our online presence. It does not matter if you get traffic, if it is not the right traffic then it a waste of resources. Long term and holistic strategies to increase your organic traffic. ROI for your business. We come up with a plan to increase keyword traffic that has the highest return potential. We apply advanced psychology to find better ways to convert your traffic. Create better-optimized quality content with keywords you actually have a chance to rank with now then focus on the later. We offer competitive rates and quality results.